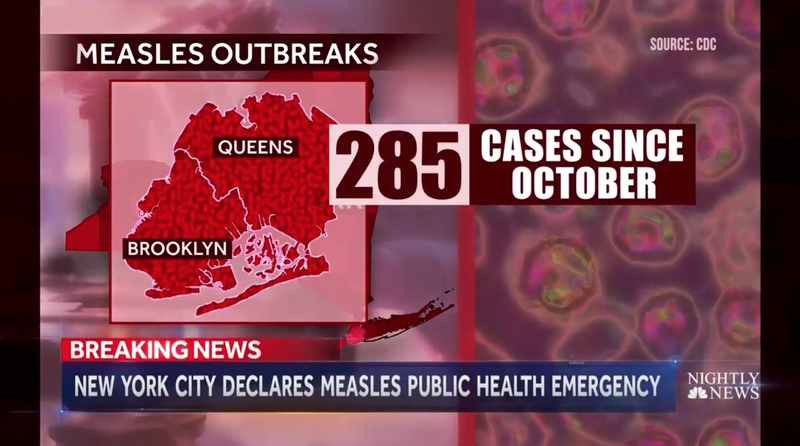 “NBC Nightly News” aired three maps on its Tuesday, April 9, 2019, edition that could practically trigger itchy skin, runny noses and sneezes. 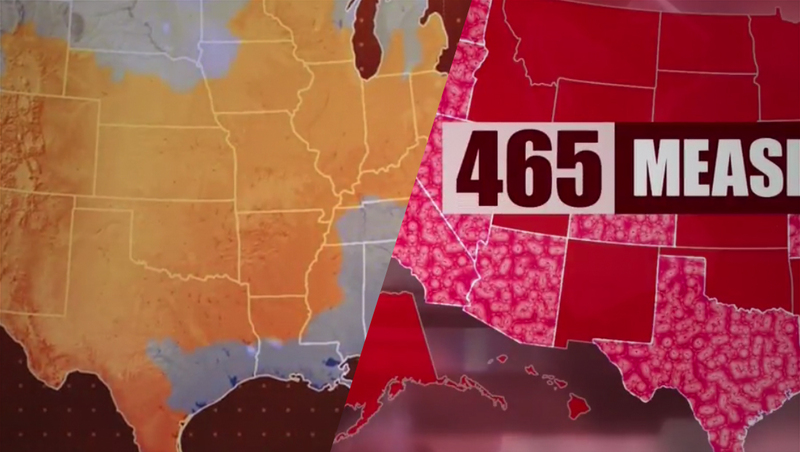 The maps were aired during the show’s first week with a new graphics update that rolled out Monday. 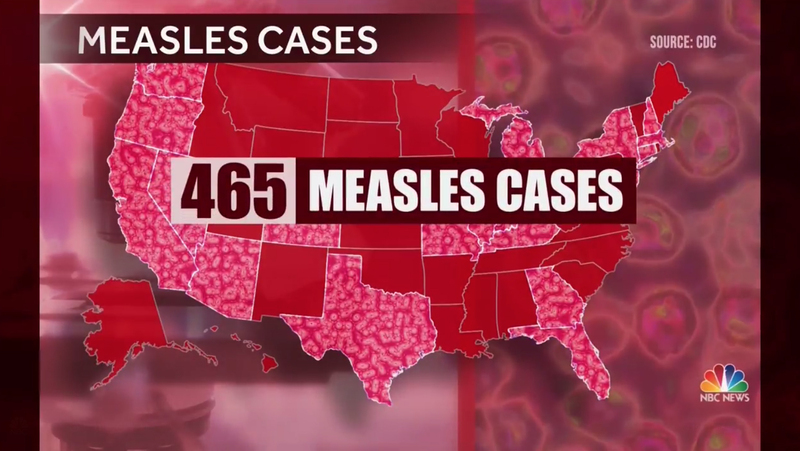 This map, which is based on a design NBC has used previously, features states affected by measles filled in with a pattern that simulates the red patches associated with the disease. Tuesday’s edition also featured a detailed view of two New York City boroughs. 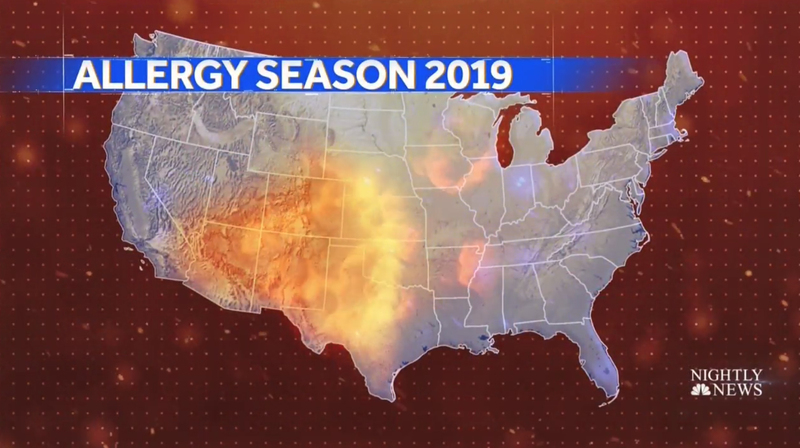 NBC also aired this map Tuesday that showed a fire-like wave of the ‘pollen apocalypse’ pollen bomb that’s sweeping the country. In the background, bright dots of ‘pollen’ floated by. 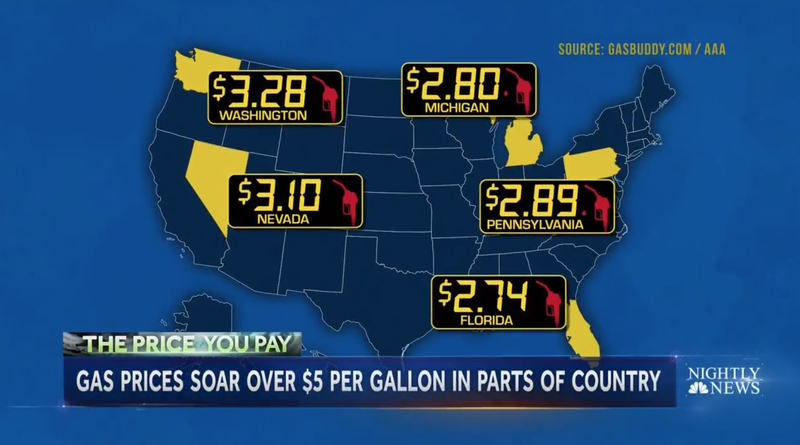 Later in Tuesday’s broadcast, during a ‘The Price You Pay’ segment, ‘Nightly News’ used this map to display average gas prices around the country. Thankfully, this map was a bit more traditional — perhaps only triggering a bit of pain in viewers’ wallets.